The CRABIS project targets at providing a solution for automatic generation of informative and personalized field video reports for future intelligent multiview environments, e.g. surveillance, which is supported by the MEXT Grant-in-Aid for Young Scientists (B) No.26730086 from year 2014 to 2017. In this page, we will record the whole research/ development progress of this project. Jan. 20, 2015: Anomaly Detection by Using Random Projection Forest. a) F. Chen, Z. Liu and M.T. 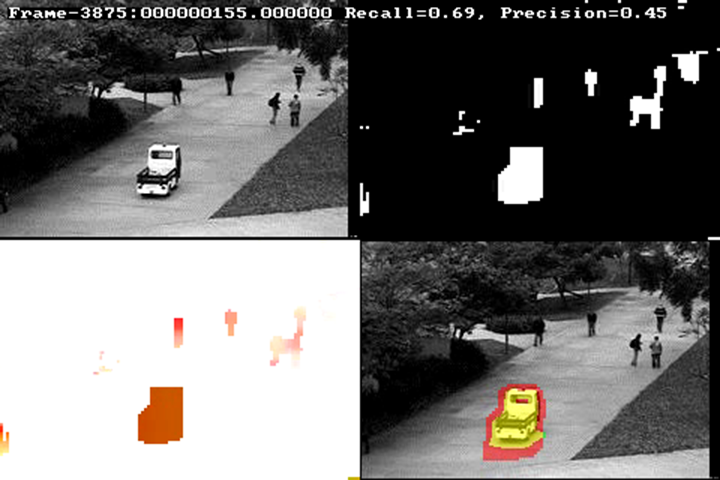 Sun, "Anomaly Detection by Using Random Projection Forest", ICIP 2015, Paper ID 271, (Accepted) Sep. 2015.